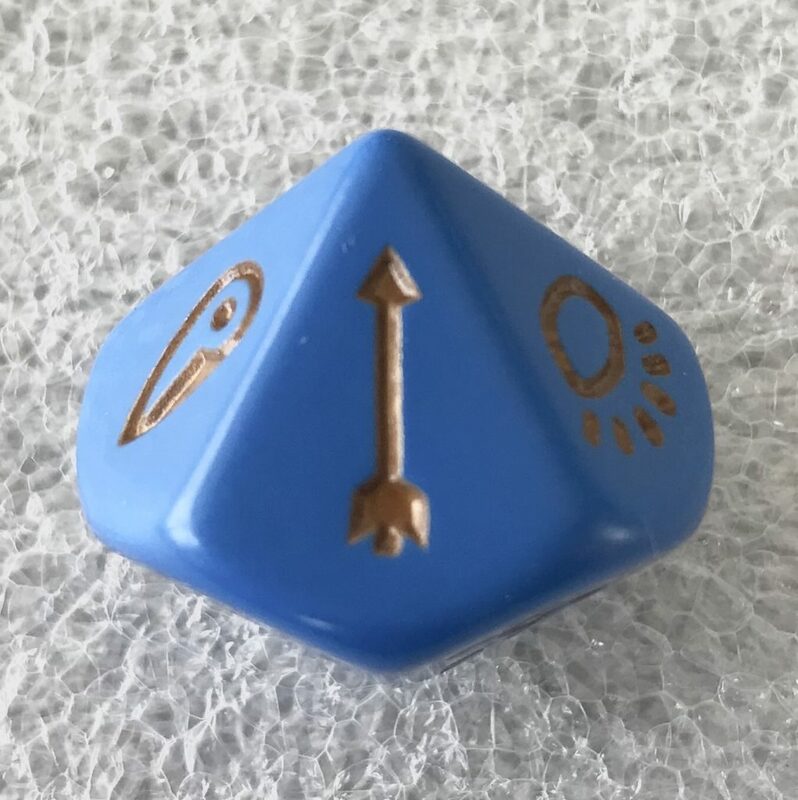 I have been giving a lot of thought to this project over the last week and I was trying to work out which of my two chosen dice to feature. It was either going to be the Dwarven Mammoth Rider, or the Goblin Leopard Rider. 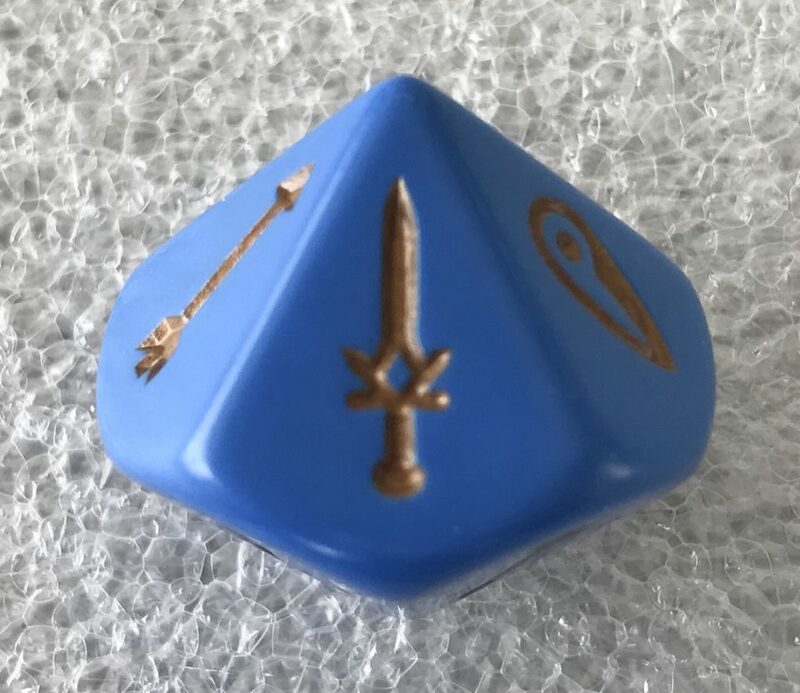 Both of these are very interesting dice and will be featured very soon. However, last night, whilst in the throes of trying out my new Goblin Monsters, I had a Eureka Moment! A couple of weeks ago, I saw a Magestorm box available on eBay and, as I was, and still am, sadly lacking in variety with my Dragonkin, I figured that this would be a cheap way to top them up, especially as the extra minor terrains always come in very handy in this game. I bid and, surprisingly, won them for £11.50, which I believe to be a sensible price. Until now, I had never really had any interest in, what I believed to be a bit of a White Elephant, the items and artifacts, although I always believed my friend Mr Dimmock as to the usefulness of Medallions (like the one he used to beat my Coral Elf army last year). My opinion has now changed, certainly towards the artifacts if not, quite yet, the items. 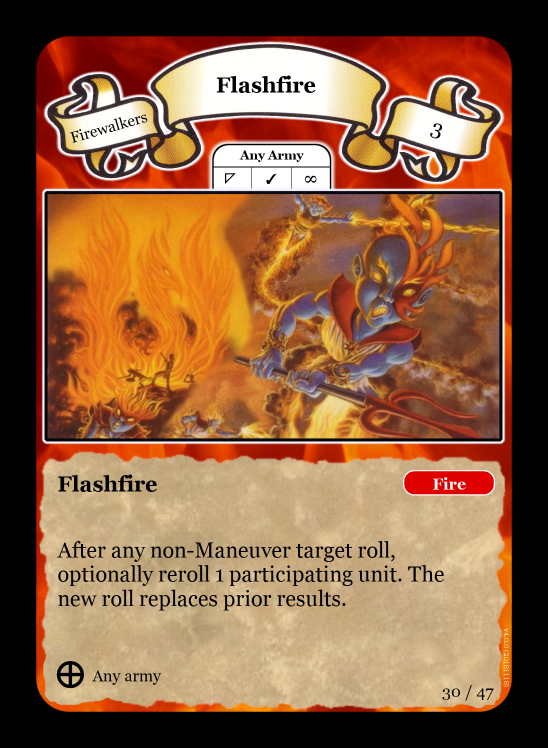 Given that it is a missile weapon, and that the Coastland terrain has faces 2, 3, 4, 5 and 8 where missile combat is used, if any race would benefit from its use, it would be a race that has a proficient missile force. In this case, Coral Elf, Frostwings and Amazons particularly spring to mind. If a Coastland is not being used, then adding a Knoll Minor Terrain to the starting lineup gives a 3 out of 8 chance of getting use of missile actions when the terrain is showing magic or melee actions. Table of Probabilities for each Action type on Trebuchet die, with mean and standard deviation. 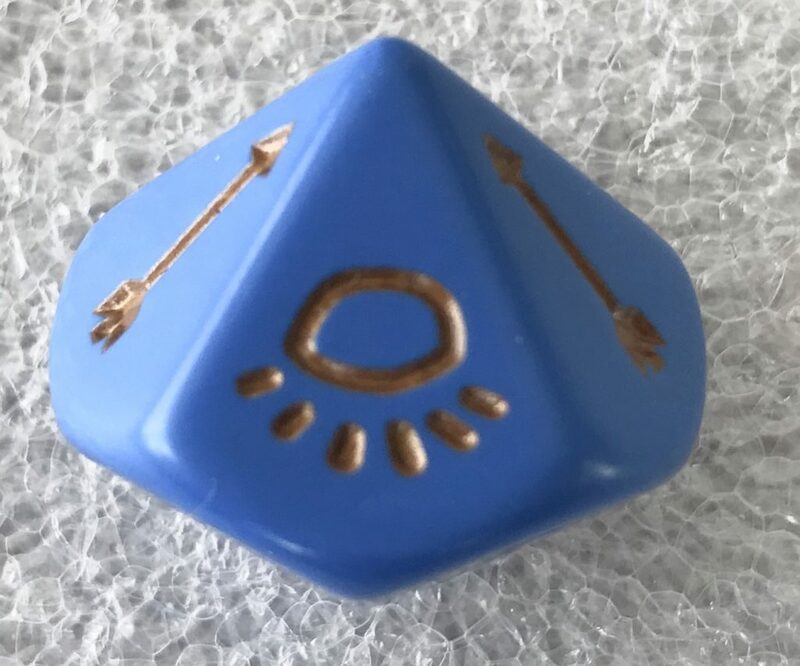 As can be seen from the table above, there is nothing that remarkable about the action results that can be expected from this 3-health die. As a missile unit, it behaves much like any other missile unit of its size, generating an average of 2 results (along with not a bad save statistic – the wooden frame of the trebuchet obviously making a good barrier against incoming missile and magic fire). The only reason to use this is its SAI – The Crush, which it has a 20% chance of generating with 1 trebuchet, 36% chance with 2, or a massive 49% chance with 3. The Crush SAI – just a little bit special. 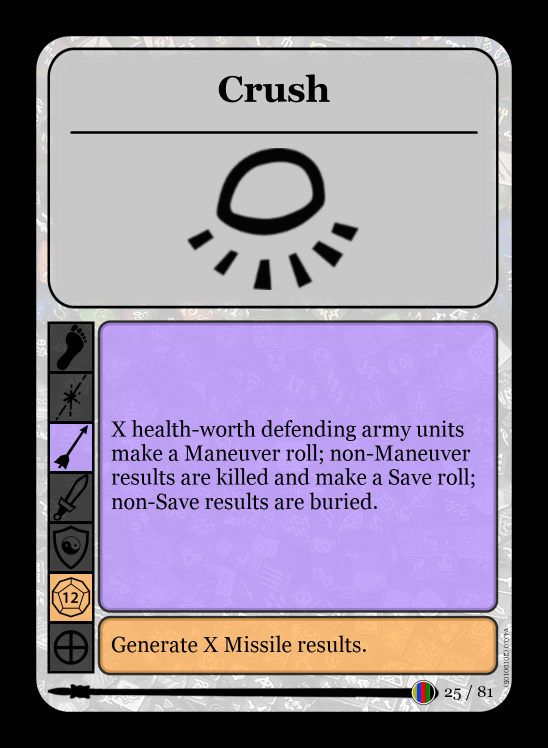 This is one of those SAIs that gets over the problem of removing these units, as it is directed (you get to choose which unit(s) you are attacking) and the only way for the target to save itself is by the use of manoeuvre – saves do not help. In real life, this means that using your shield against a boulder is pretty much ineffective, you need to run out of the way!!! 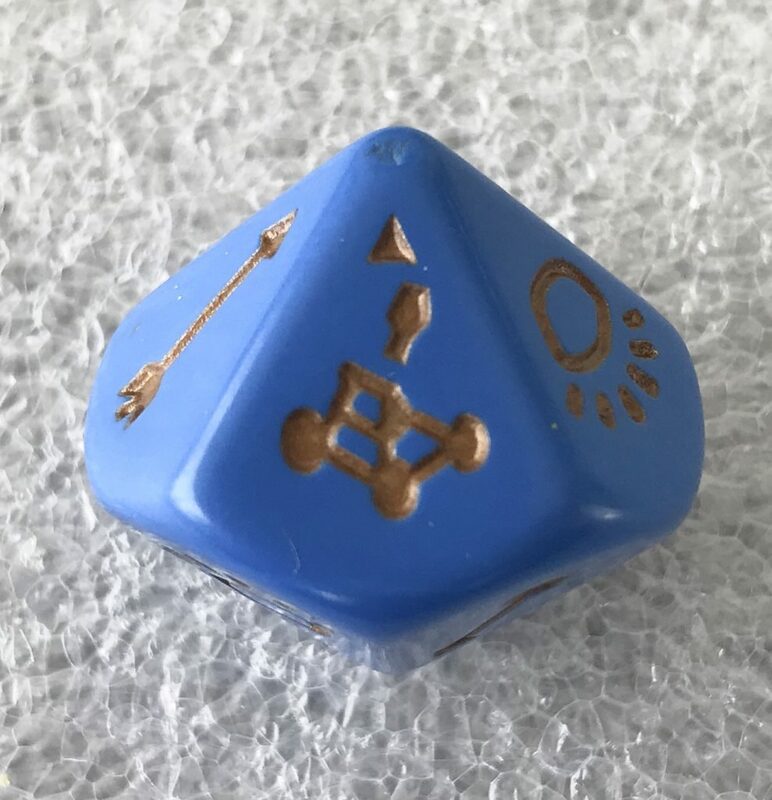 It is very important to note that the Trebuchet, like all artifact dice, is classed as an Item, and not as a Unit. This is very important, as it means that Spells and SAIs or other effects on Units do not apply to this. 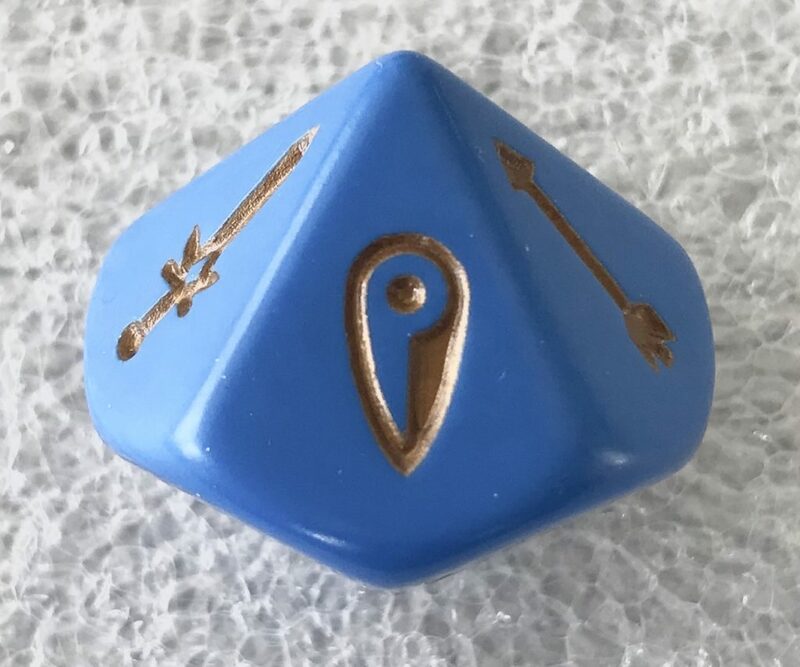 This can be seen in this post where I used a Flashfire spell to allow me to try a re-roll on this die. This had to be corrected. This also applies to Vortex terrains on their 8th face. I was rather surprised (pleasantly so) as to how good this unit performed in my quick run through against Goblins last night, as it easily removed the Troll, along with other, lesser units, whilst the regular force and my new friend the Heartseeker (more about him later), wiped out the Leopard Riders, Wolf Riders and Wardog Riders that had threatened to take the home terrain at a very early stage. I have a feeling that the Air Trebuchet will become a permanent feature in my Selumari army and, if I am fortunate enough to fall upon another one, this might find its way in there too. My next tutorial battle will be showing this in action I think!